Welcome to the Winter Chill! 6:30-9:30pm on Saturday January 12th at the Wilkins School Community Center. This free event is sponsored by the PCO and open to all adult members of the ECS community. This is your chance to really get to know your fellow parents! Our event hosts can help you make connections! 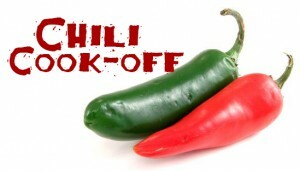 We’ll have delicious chili for you to sample and vote on, a great chance to meet new friends and connect with old, a fun place to spend a dreary winter night, and lots more! Book your sitter and plan to attend! Or make it a ladies/guys night out and skip the sitter! New this year We have a list of several ECS middle schoolers and alumni that you can reach out to for babysitting help! RSVPs are a must due to space limitations and to help us plan. If you can make it, please sign up to bring an item. We obviously need chili! Several vegetarian ones would be great! Don’t forget – the less the event costs the PCO, the more money we have to support the teachers via things like staff appreciation and mini-grants!